On inhale sweet and tangy tones of ripe pineapple will flood your taste buds taking you on a journey to tropical pleasure. On exhale decadent cream will wash away all your worries with its smooth release and giving your palate the utmost pleasure. 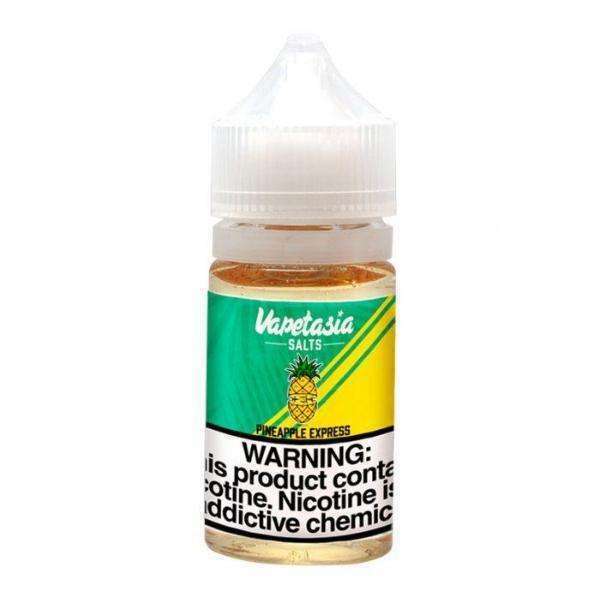 Pineapple Express by Vapetasia Salts will come packaged in 30ml Chubby Gorilla Bottles and you will be able to choose from the nicotine levels 25mg and 50mg. Please make sure you are using pod systems for salt vape juice and not sub-ohm devices due to the high concentration of nicotine.